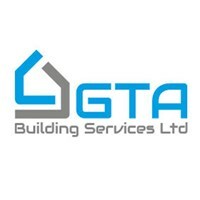 At GTA Building Services, we are passionate about our diverse and impressive portfolio of completed projects. Operating throughout London, our company is built on a strong foundation leading to outstanding customer satisfaction. GTA presents a friendly and trustworthy team prepared to undertake extensive tasks to meet customer needs. Cooperation and understanding are the keys to our success. Gaining 6 years of experience, we have developed a number of strategic partnerships which help us to offer you high quality. It is essential to have the guarantee that you will receive the most effective solutions for all phases of the project. Our overriding goal is to provide seamless service. A satisfied customer will always come back! Our team is carefully selected and undertakes comprehensive training, selecting the best specialists in the field. During the entire period of the project, a member of our team will keep you updated on the progress of the works, striving to achieve complete customer satisfaction. Customer relationship is very important to us; therefore we have to offer transparency by valuing your opinion. Considering your affordability, we offer optimal solutions tailored to your needs without compromising the quality.